I was so naive to think that Saturday would go without events regarding business meetings. I couldn’t be more wrong! I looked at Meetup.com again and picked two interesting meetings. Then we found out we had one because Troy (USA) and Robert (Netherlands) — we had known them from the WorldSummit in Mexico — offered their help immediately. By the way they had flown to this place to have brainstorming sessions with us in the first place. 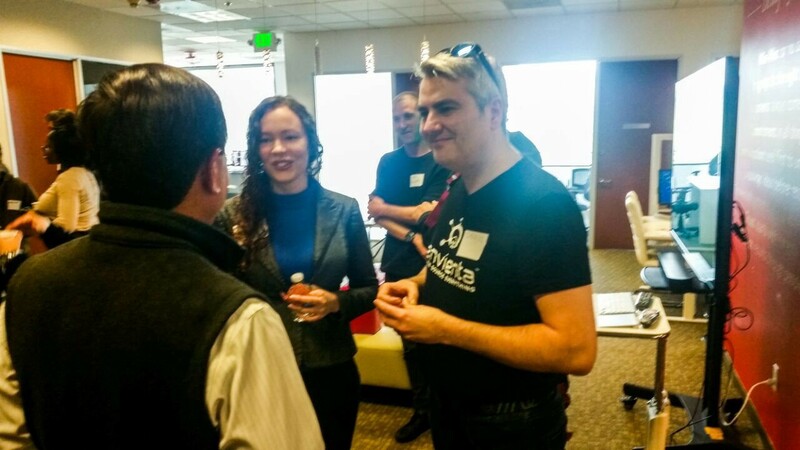 The second meetup was also in Cupertino, in the office of a property investment company. Admission was free, the event was sponsored by the company, which included snack and beverages, too. This is a genial strategy, too, because, just think about it: there is an office, one in the million, but what if they organise events on a weekly basis? The name of the company appears in common knowledge. There is, however, a training for Angel investors on Sundays and you can present your ideas there, too. It is a very smart act, because according to the organisers they are not interested only in properties and if they find something worthy, there is a good chance they are going to invest in the project themselves. There was an opportunity here to have a free pitch — I want to emphasise it has a value money can’t pay, because we can learn what expressions other use and what is that they understand, and what we have to focus on. …who live here already, or just happened to be here, just like us. The lady next to me in the picture is from Alaska and she is working as an architect in the Valley, but I have also spoken with a Ukrainian iOS developer. One startup in Singapore helps push your startup, if you happen to gain space in Asia, even from government sources. Hint: What is interesting was that we played Linkedin between the pitches. And listen closely: Linkedin has a function that enables you to befriend those in the same place. I got 30 new connections in a minute. The smartest sent instant brief introductions with websites and a short pitch. (we are going to prepare for this next time with copy-paste) Ingenious! It is a must for every meetup organiser! 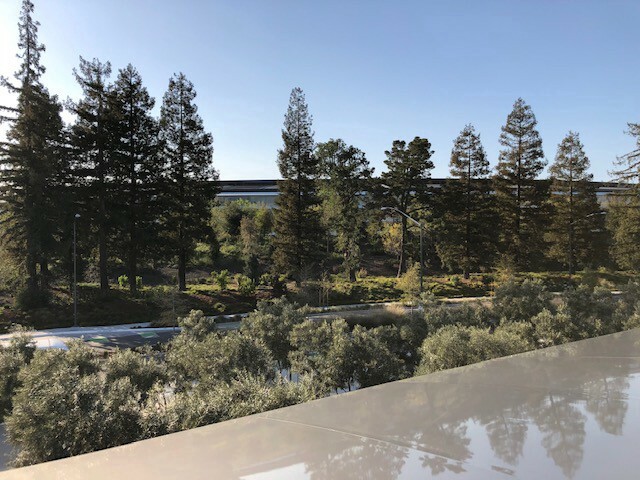 After the meetup our friends picked us up and my wish, (since we were in Cupertino) came true, we were driven to the building of Apple Infinite Loop (the company is going to move from here soon) and to Apple Spaceship. The latter is still being constructed, but there is a touristic building with a café, from where you can look onto the huge, ring shaped building. Not much can be seen from the café terrace because of the trees, but I think everybody has seen the drone videos on YouTube. 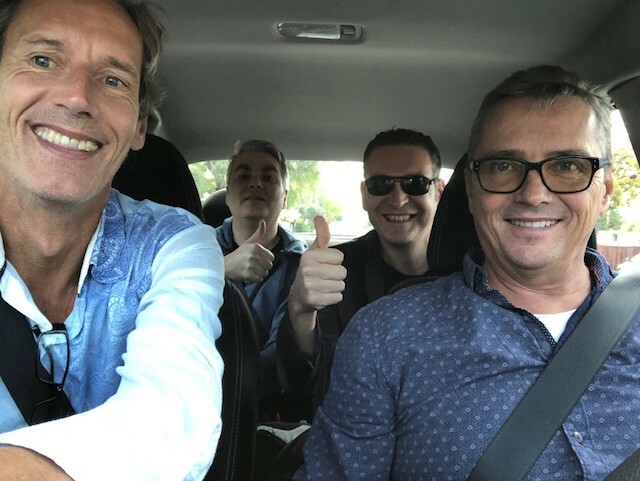 I was allowed to drive on the way back which was a superb experience since I had not even thought there would be an opportunity to do that in the US. A little cherry on the top of the already quite big cake.